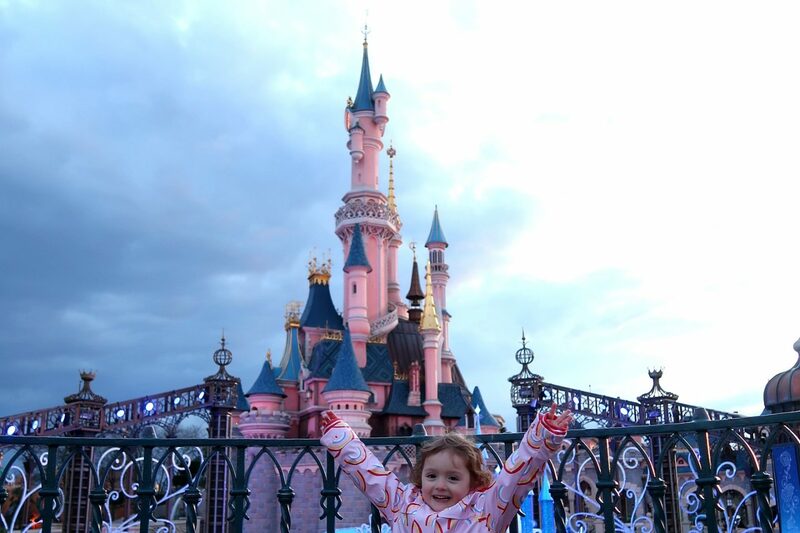 Thinking of booking a Disneyland Paris trip? 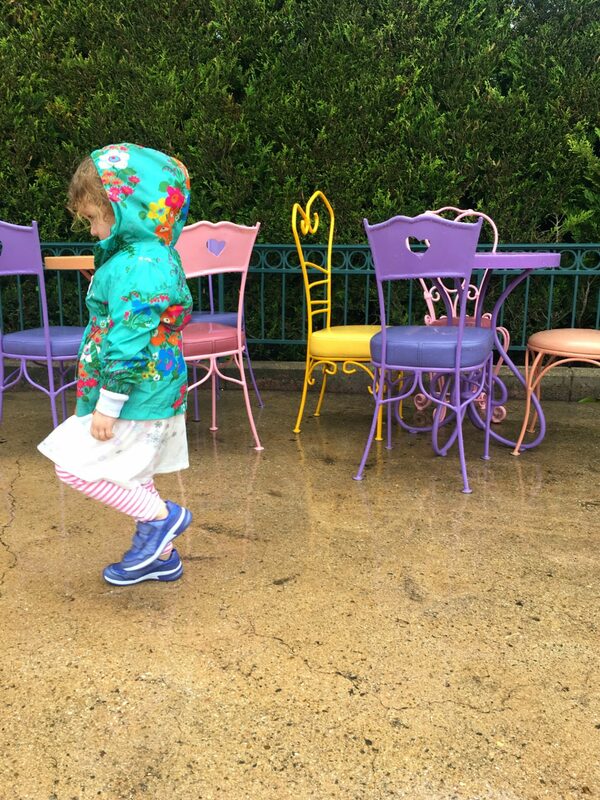 Over Easter we headed over to pay our regards to Mickey and friends at the House of Mouse, on our first family trip to the French theme park. 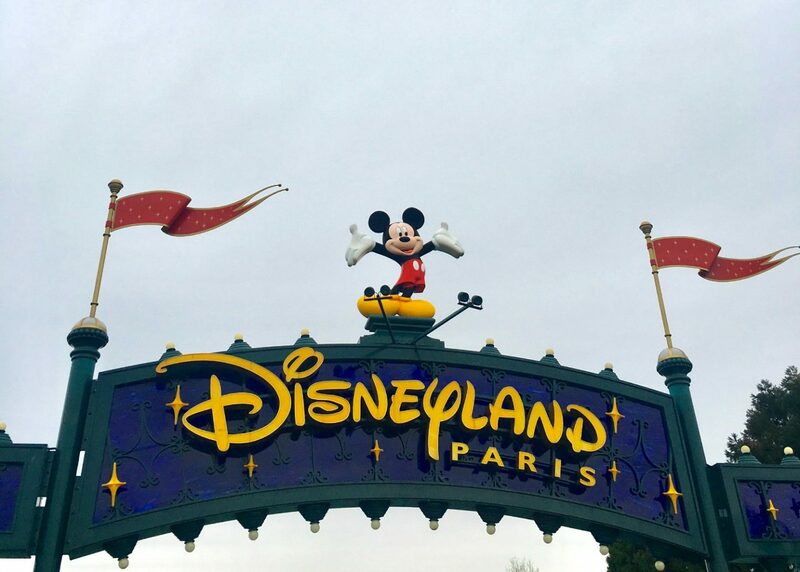 So, how did we get on and what were our top Disneyland Paris trip tips? It was, wonderful. overwhelming, exhausting, exhilarating, exasperating and that was just for the adults (the children loved it). There were queues for everything. All the food is eye-wateringly expensive. It rained, it was hot. My feet hurt more than when I was pregnant. But overall, we had a brilliant time. Disneyland Paris is a pretty surreal experience. It’s freakishly clean, everyone is happy, it all smells of baking and sweets and joy and everywhere you turn there’s a parade. At one point I said to E ‘I wonder if we’ll see Elena of Avalor?’ And we turned the corner and there she was, dancing down the street with Sophia the First. I know it is a theme park, but it is so much like a theme park. I was deeply sceptical of everyone saying it was magical, but honestly? It really was. At times it was hard work but the children spent about 90% of the time making open-mouthed-amazed faces, which made up for everything else. One thing that really struck me was the overwhelmingly huge amount of information out there, when all I wanted was some nicely condensed tips. Best time of year to go: We chose to go over Easter, because of the school holiday but also because we thought it would be slightly better weather. Over four days we actually had ALL weather, in the style of that Crowded House song, ranging from pleasantly warm through to cold and grey, all-day rain and then baking sun. On the rainy day we still went on all the rides and had loads of fun, and there were less people around, but there was also no-where to sit and the parades were all cancelled. The warmer weather was much more pleasant, but the park was also lots busier (I would try to avoid peak summer or winter as I think extremes of hot and cold with small children would not be fun). Best ages for children to go on a Disneyland Paris trip: Obviously, this depends on your children, but at six E loved it and at 3.5 F was probably just about old enough – she loved most of it and was tall enough to go on the same rides as everyone else, but refused to walk and did get overwhelmed (bear in mind it is a very overstimulating place with lots of walking and late nights). There’s also not that much littler children can do. Where to stay: We went on the Eurostar so wanted to stay on site, with easy access to the park. 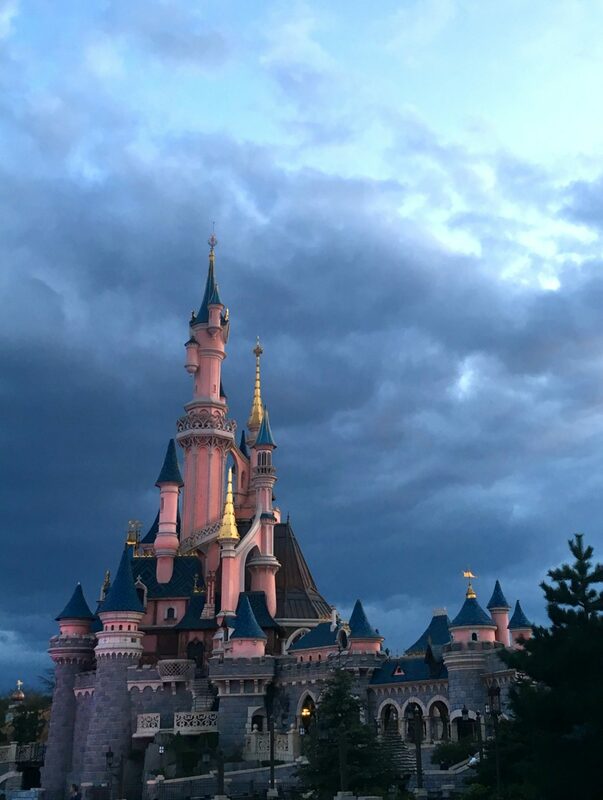 We booked months in advance through the Disney website, when there was a three nights for two offer on (they do seem to have these offers a lot, so watch out for them). We picked the Santa Fe / Cars-themed hotel as it was the cheapest of the expensive bunch, basically! It was fun and fine, but if you want something more luxurious then you have to shell out more. How to get to the park, and when: From the hotel Santa Fe – which has a fake volcano – you can walk to the park in about 20 minutes, but there is a regular shuttle bus which we mainly used. 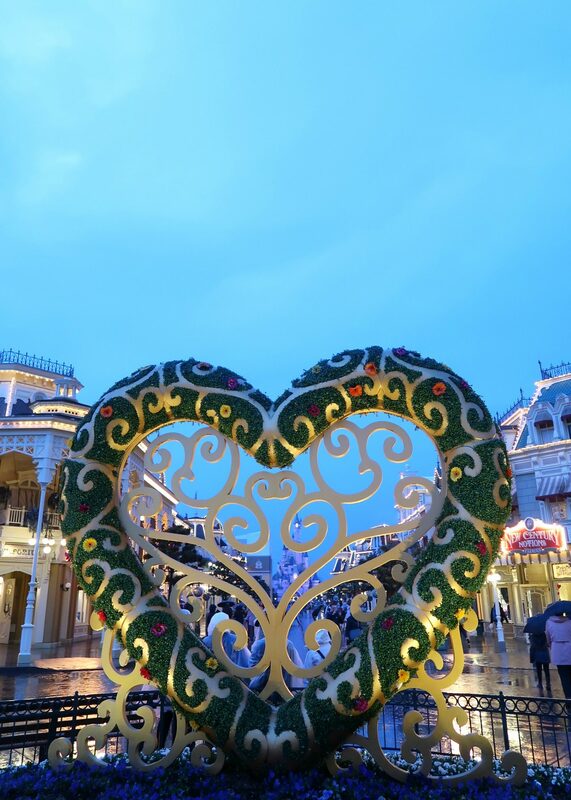 Staying at the park means you have Magic Hours, where you can access the park an hour before the general public (we only did this once, though, as for us the late nights did not equal early starts). 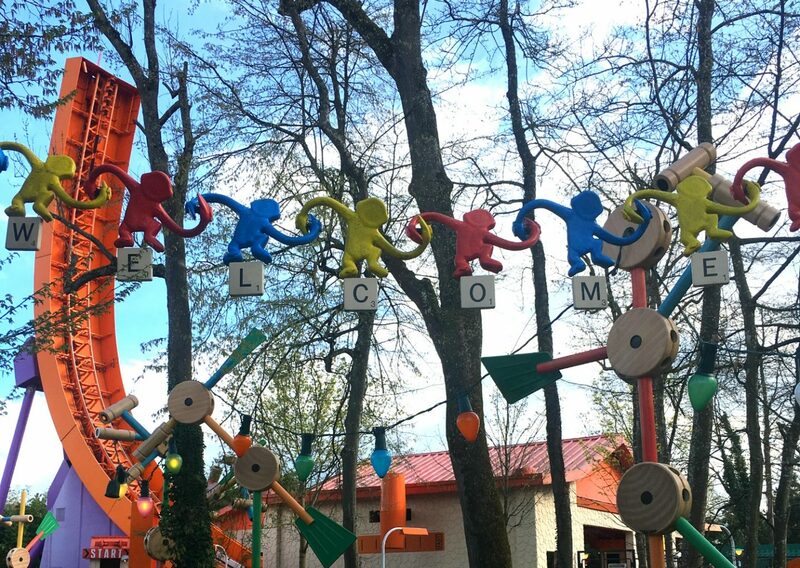 You’ll know when the park opens as they announce it on a loop at breakfast. Talk to people who’ve been: I found this the most useful, to find out tips and what to do / what not to do. Download the free DLP app: This has real-time updates on ride closures and queueing times (but add on about ten minutes to queue times displayed). It was useful to see before we went what queues were like throughout the day e.g. the girls were dying to go on the super-popular Peter Pan’s Flight, so we could see in advance when it was likely to be less busy. Book things in advance: We did a couple of ‘extra’ paid for things including Buffalo Bills and the Princess Lunch, which we booked at the same time as the holiday as I think they get booked up in advance. Everyone told us to book meals before you go (there are coffee shops / burger / diner type places you don’t have to book, but you’ll probably have to queue). You can’t do it all, don’t even try: There are two main parks, Disney Park and Disneyland Studios, and they are spread out. 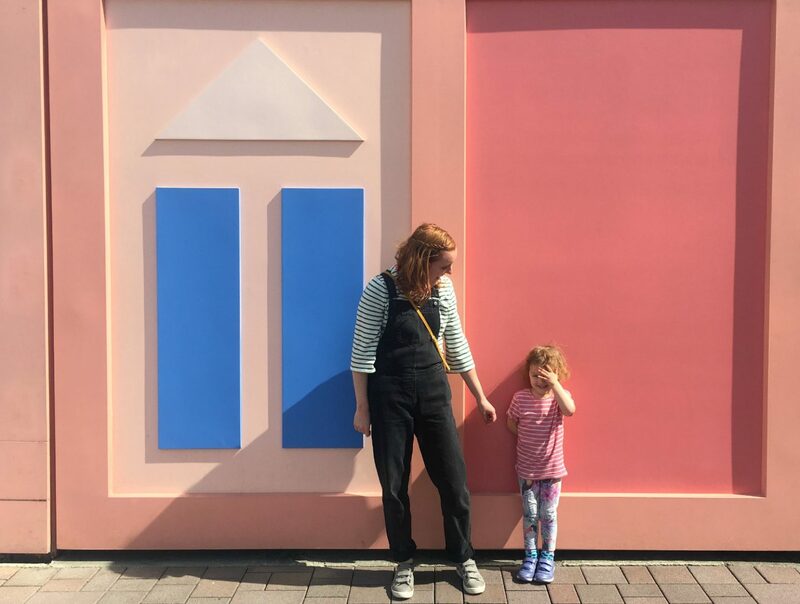 If you have little children – especially if they’re not too keen on walking – you won’t be able to do lots, even with fast passes (the ticket system where you can book advance time slots to beat the long queues) Did I mention there are queues? Even though we were there for four days, we didn’t do it all at all. I would say to pick in advance the things you really want to see and do – if you’re there for a day, pick one area and aim to do about three-four things maximum. Meeting the characters: Top tip, our hotel had a free character meet-and-greet every morning after breakfast (we even got to meet the main man, Mickey M). 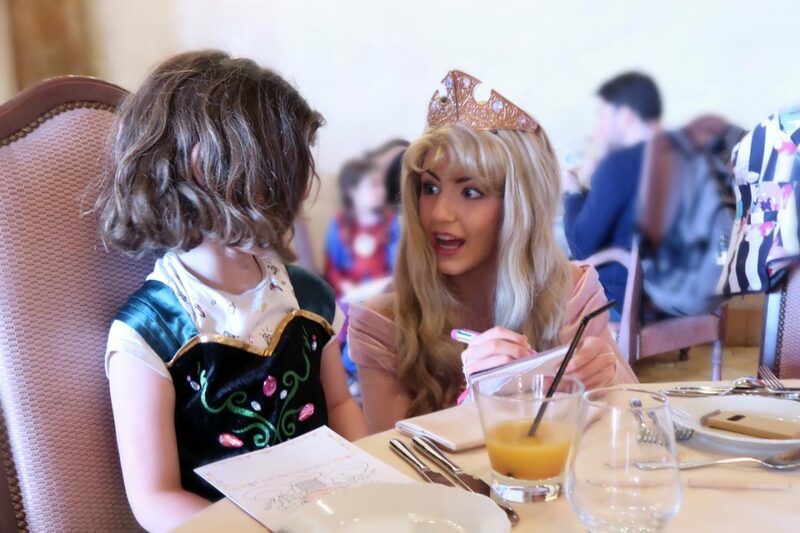 We had also booked the Princess lunch, where the princesses come over to each table and talk to you individually. The main Princess Pavilion and Meet Mickey centre in the park each had constant queues of about two hours, so I would avoid these like the plague. 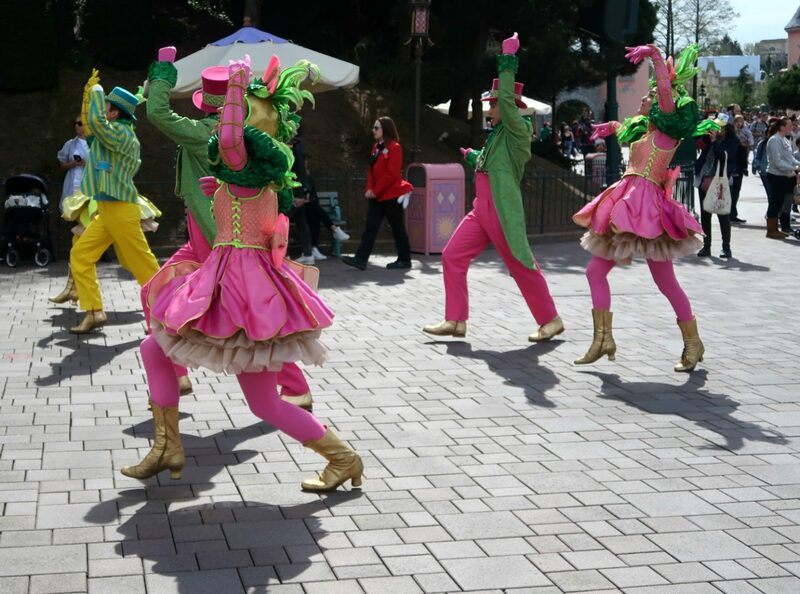 There are also various characters popping up throughout the park, with varying degrees of queues. 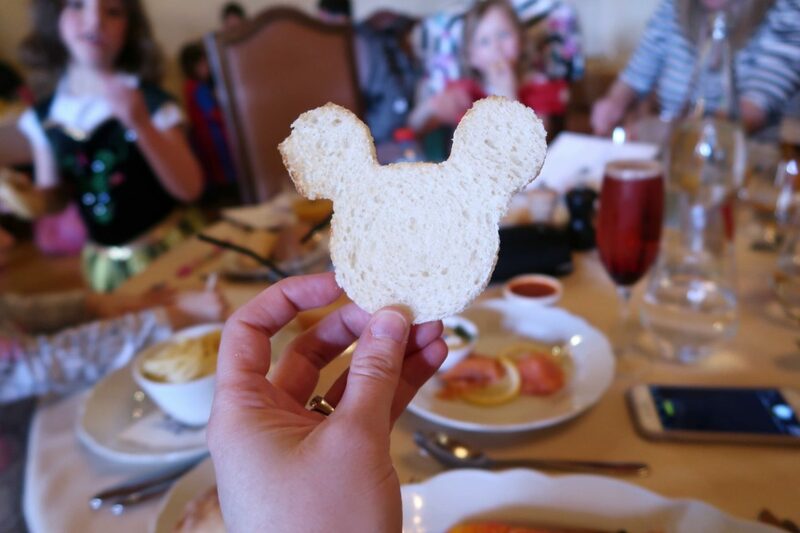 Princess lunch: Book this in advance. Take princess dresses with you (there were also lots of children dressed up throughout the park). Prepare to have something in your eye at the children’s reactions. Illuminations (the light show and fireworks): These are fireworks and a light show projected onto the castle every night when the park closes at 10pm. It is a late night, but really worth the next-day grumps. Watching the parades: The main parade is, well, pretty spectacular. 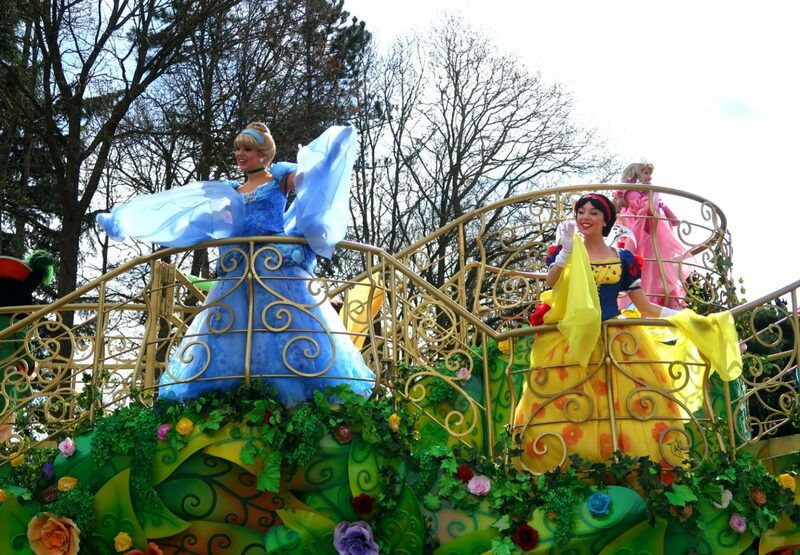 There was also a ‘Pirates vs Princesses’ theme when we were there meaning extra parades, and there was also a regular princess promenade – with Elena and Sophia – which we watched about twenty billion times. Best place to watch the parade? It starts and ends by the big pink gates down from It’s a Small World, and this area is less busy and has a great view. If you’re standing there taking photos and the parade is even remotely close, Disney Security will move you on. Seeing the dragon under the castle: You can actually go through and in the castle – there are some stained glass windows upstairs – but if you go under it, you’ll find the dragon. Where to eat: There are a baffling amount of different meal plans, full and half board, counter service and so on. We had breakfast included at our hotel (giant canteen style buffet, it was fine). Food is EXPENSIVE. It’s also mainly buffet style and some places are better than others. There were cheaper places (e.g. big chain burger and coffee shops, some diner style places). Take lots of snacks. 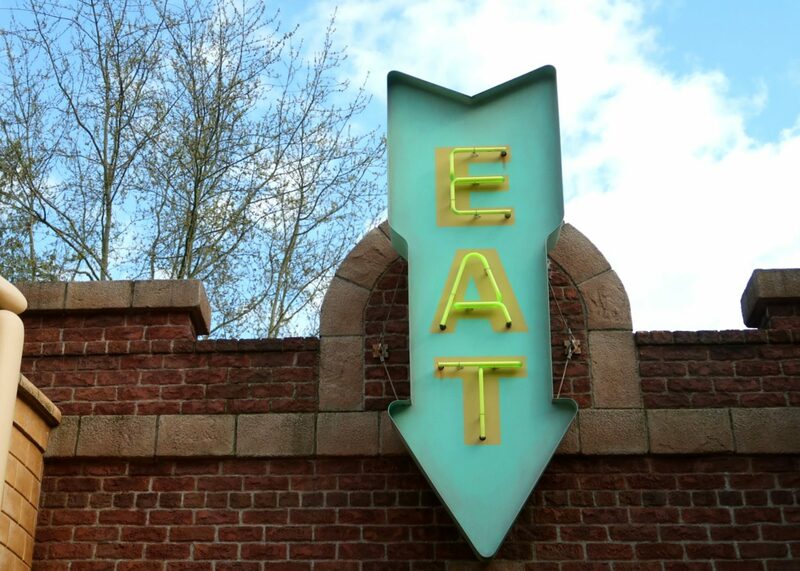 Our favourite areas were Fantasyland, Discoveryland and Toy Story Playland but generally, it’s all good. Other rides they loved included the carousel / Snow White / Pinocchio / Buzz Lightyear / Slinky / the spinning Cars ride / any ride that spun you round at high speed/ driving the cars on Autopia / the ‘cruise’ and the crazy train. There were loads of rides we didn’t go on, including Ratatouille (this seems to be the most popular so get fast passes or go as early as you can). 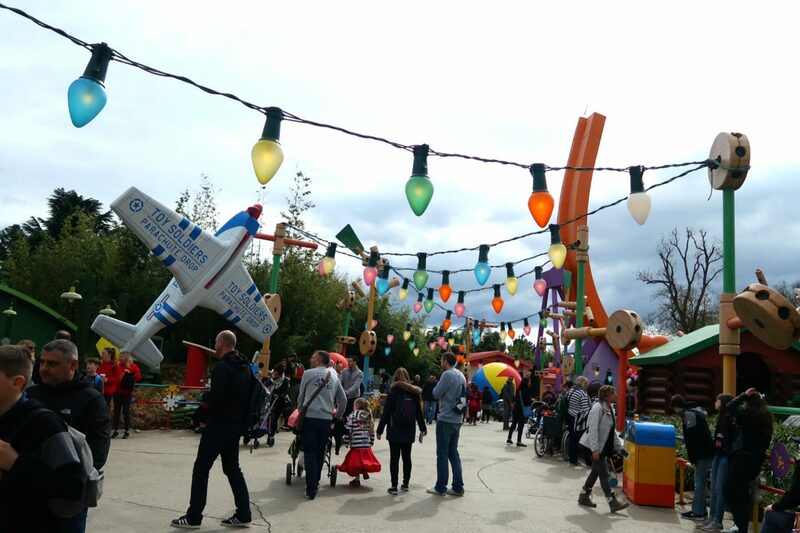 There are various systems for parents to swap round if you’re queueing with children, and we also used the quicker single rider queue for adults to go on the ‘older’ rides. Should you take or hire a pram? 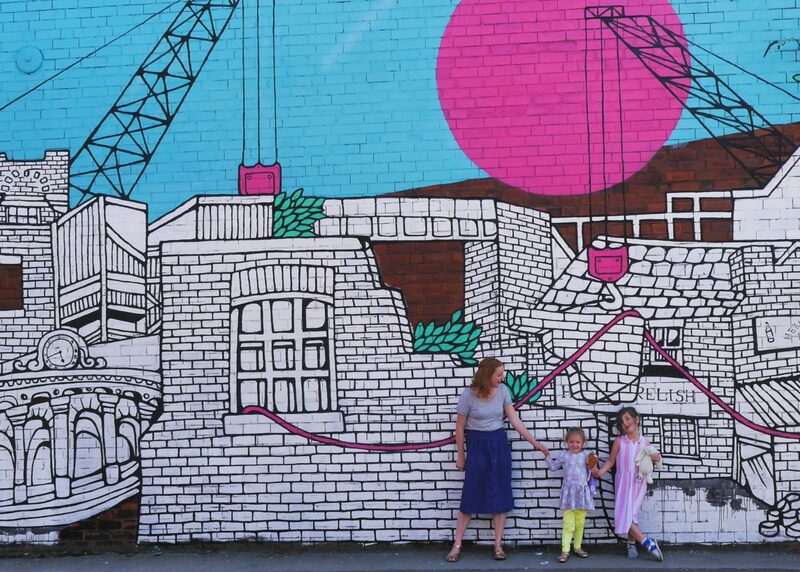 A lot of people told me that they even took prams for child of 5+ due to the amount of walking. Due to train strikes we decided not to take ours and predictably, F refused to walk for most of the time meaning my arms are now made of steel from all the carrying. However, you can hire a pram for 20 euros a day (plus deposit) – you’ll see them everywhere, they are huge metal tank-like structures. We hired one and predictably, the only one who would go in it was her sister. If you have a baby or young child I would definitely take your own. Essentials to pack for your Disneyland Paris trip: Compeed blister plasters – it’s a lot of walking so you’ll probably get blisters and these are great / Sun cream / Snacks, as food isn’t cheap and there are a lot of queues for everything / Water bottle – again, drinks are expensive / Clothes for all weather, including a waterproof coat, warm clothes, sun hat / Tea bags (there was no kettle in our hotel!) / Calpol / painkillers, for you / baby wipes, for everything.